The Red Bulls also announced that Partial Season Plans will be available to all 2009 Plan holders, starting on February 5th. Partial Season Plans will then go on sale to the general public starting on February 8th. 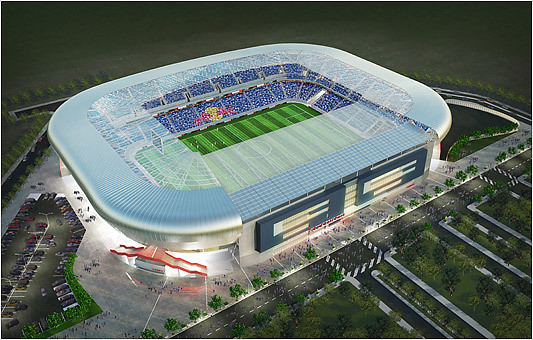 Also, the Red Bulls/Santos "Grand Opening" friendly on March 20th will have a 6:00 pm start time. In addition, The Viper's Nest has created a downloadable season calendar, available as either an iCal calendar or HTML. It has also been added to our home page as a handy widget, right underneath our brand spanking new Twitter feed.